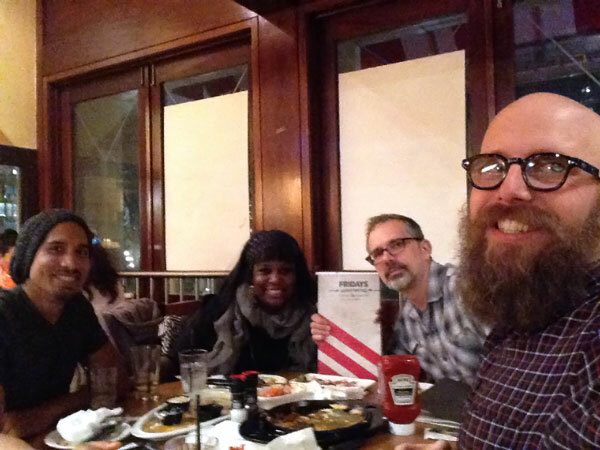 This month we get a meal at the TGI Friday’s in New York’s Union Square. Started as a single restaurant near the Queensboro Bridge in Manhattan, TGI Friday’s now has over 900 restaurants in 61 countries. Known for kitchy decor, potato skins, and alchohol – but what makes this restaurant so popular? And what can we learn from it to make better art and activism? In this episode Pat, Steve, and Steve are joined by guest Maz Ali, School for Creative Activism alumni and writer for Upworthy. Chain restaurants can be diverse spaces – why and how? World travel, fancy restaurants and risk taking. Novel experiences being a place of comfort. Choice, surprise, and doing one thing well.